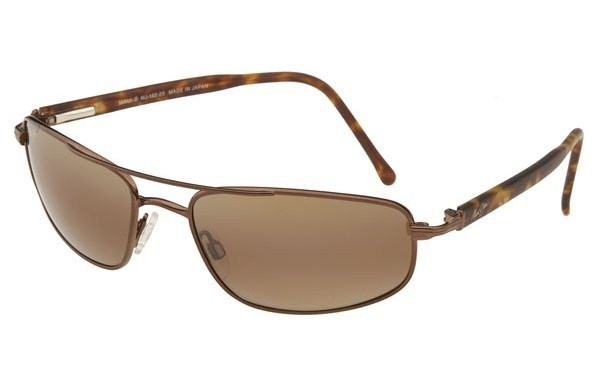 From Maui Jim come these Kahuna sunglasses, equipped with durable metal frames that are easily adjustable for custom fit. Featuring copper-coloured frames with a double brown bar and brown lenses, this pair of frames from the Maui Jim Classic Collection makes for a smart look. Available online now. This entry was posted in Sunglasses and tagged Maui Jim, Maui Jim Classic, Maui Jim Classic Collection. Bookmark the permalink.